Waking up to regular annoying sounds of the built-in alarm clock is boring. With Man United Fans alarm clock you can take your favorite sports team in the sheets with you and wake up to the sounds of your favorite tunes from the field! 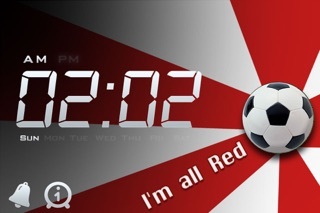 Man United alarm clock enables you to design your iPhone as your favorite team clock, with beautiful designed clock themes, including the famous quotes every fan knows by heart. In addition to clock features, like days display and 12\24 hours options, this app provides the famous fan songs to wake up with, and also allows you to choose your favorite music instead. Man United alarm clock also offers flexibility when it comes to timing alarms. With Man United alarm clock you can initiate alarms based on a daily reoccurring, plus you can set as many clocks as you want, with different team songs for each clock. 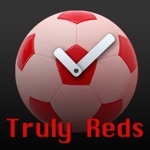 Man United alarm clock is the app you need to have if you are a real sports fan that truly love his team and can't give up on it even at nights and mornings. 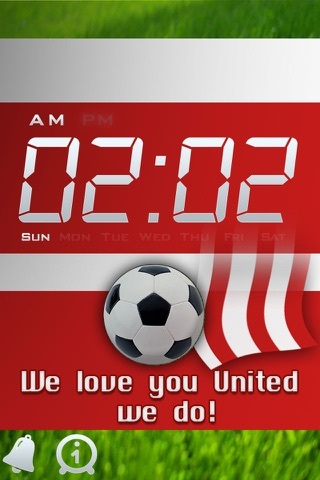 Download the free fully functional Man United alarm clock today, and judge for yourself.